I love listening to people's business ideas. There's nothing that gets the creativity flowing more than a brainstorming session with some loose concepts and maybe a beer or two. 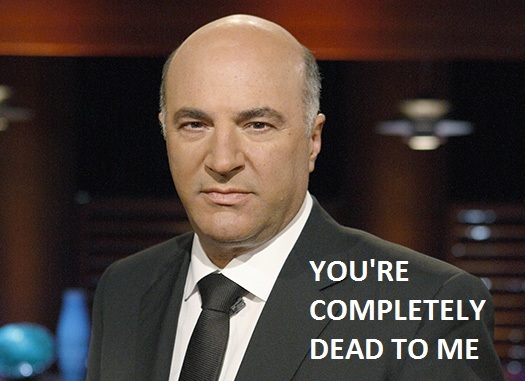 That's probably why I love watching ABC's Shark Tank (for you Brits, it's the same concept as Dragon's Den). There is something inspiring (or devastating) about business owners pouring their heart and soul into a pitch in the grand hopes of receiving an investment, or watching their dreams crushed directly in front of them with no criticism spared by Mr. Wonderful. For those of you unfamiliar with the show, business owners are in front of five potential investors as they ask for a cash infusion for a percentage of equity. If multiple sharks are interested in investing, they end up battling each other to formulate a deal. At any point the business owner can walk away with some publicity and a great story. As Shark Tank is watched by millions, I got really curious about how being on the show affects the brand during the weeks following. This massive windfall of new customers, site traffic, social following and... wedding proposals (you'll see in a bit) must make for an interesting couple of days after the episode airs. How have the past few weeks been for you guys? Its been a little crazy for us. We knew Shark Tank would give us a jolt in sales but the other opportunities have come up since our segment aired a little over a week ago are really unexpected. We’ve obviously had a lot of sales both on our website and from our core shops. Many of our shops ordered before the show, after it aired and are now back to another round. So it has been good for our retail partners as well as us. We’ve also gotten offers for financing, partnerships, etc. Its been a lot of fun and a whirlwind. Its made for a lot of sleepless nights. 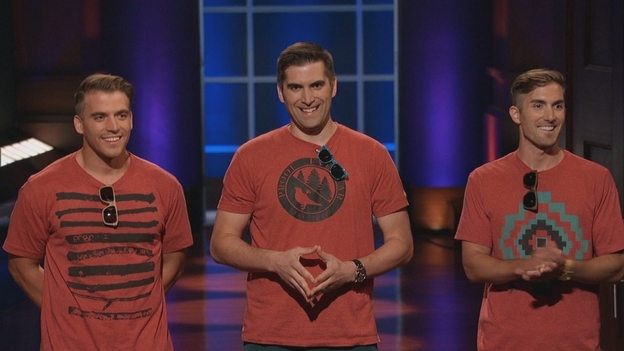 How did you go about deciding to apply for Shark Tank? We didn’t know how it would shake out for us, but knew it would be an adventure and was worth a shot for our young company. It was really after 2-3 friends had told me that Proof should go on the show. I had never seen an episode so one night I finally sat down and watched an episode online. I ended up watching 3-4 episodes in a row and was hooked. I was interested to see how companies did after airing on the show. Some really took off and some weren’t even around anymore, but I felt pretty encouraged by the success stories of other companies that had been on the show. 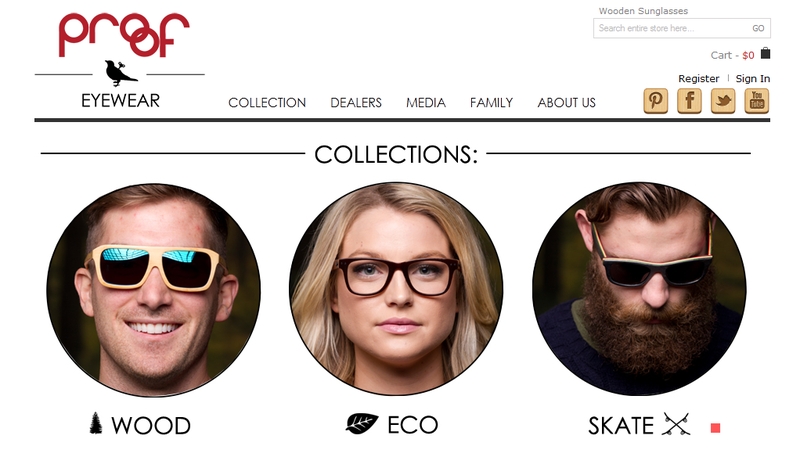 I checked out how to apply online and shot them a brief email just about the company and our website. 3 days later I got a call from a producer asking us to come on the show and to fill out some paperwork to apply. We didn’t know how it would shake out for us, but knew it would be an adventure and was worth a shot for our young company. When you got the call saying you’d be on the show, what did you guys do to prepare? We started cramming like we were getting ready for finals. We didn’t really have our financials in place even so we had to clean up our books, to make sure we would have something to talk about. We also started watching a lot of previous episodes to get a better idea of the questions we should be prepare for. We split seasons and each of us took one to analyze and then we re-grouped and breakdown what we saw and what we should prepare for. We then started pouring over the numbers to make sure we could speak to them with the Sharks. Then it came down to who was going to say what and how we could best tell our story as a brand. After that it was game time and we just had to roll with what the Sharks threw out at us. We felt well prepared and it was nice to pitch with my two brothers so we could bail each other out if an answer started going sideways. It came down to who was going to say what and how we could best tell our story as a brand. After that it was game time and we just had to roll with what the Sharks threw out at us. How was it keeping the results of the show secret before it aired? It was tough. We had a lot of family and friends that knew we went on and it was hard not to tell them what to expect. We didn’t really know how the show would be edited either so we ourselves were pretty excited to see the final result on TV. It was tough but we had an agreement with the show to keep it under wraps and the time from when we shot to when it aired seemed to fly by. We were getting everything ready for the show- Inventory, website, etc. Did you guys watch it live on TV? It seemed like you did a great job responding to the influx of comments on various social media channels live during the show and shortly after. We spent the rest of the night until about 4 in the morning at the office answering emails, tweeting, instagraming, facebooking, etc. We did watch the show live. We had a viewing party. We have a great relationship with Boise State and one of the Professors got us a lecture hall with 3 screens in their new business building. We had all the Proof crew there and a lot of family and friends come out as well as some BSU students. We were tweeting and instagraming from the viewing party. Lance, our Creative Director, was keeping us posted on the website hits as well as how things were going down. We then spent the rest of the night until about 4 in the morning at the office answering emails, tweeting, instagraming, facebooking, etc. Our site crashed so we were pushing product to our sub-site to make sure we didn’t miss out on all the sales. What did the website’s metrics look like during the show? We had about 2 million hits to the site in a little over 24 hours. It was pretty wild. We took a snapshot and in one moment we had over 200k visitors to the site, prior to the show we averaged about 1000 a day roughly. How has being on the show affected business? Its been nuts. We’ve gotten a lot of offers for capital, partnership offers, reality TV series, marriage proposals, and of course a lot of sales. Sales on the site have been really good as well as in our shops. It has meant a lot of really really late nights, but we love what we are doing and it doesn’t feel like work. We are just enjoying the exposure. Got any other crazy plans coming in the near future? Haha, Maybe a reality TV series. No, we are looking at continuing our run of innovation adding new accessories to the line up. We are looking at creating a flagship store in Downtown Boise where we can pull our team together in one location as well as have a retail shop for people that want to come in and pick up a pair. We are also looking at expanding the line on the clothing side of things as well as some brand extension on some products we aren’t currently doing. Bigger and better. Bigger and Better! We appreciate the support of all the people who tuned into Shark Tank and then went to our site and bought a pair or went to their local dealer. It means a lot to us. It is really flattering to us to have so much support. We also have received a lot of encouragement for what we are doing as a company. We’ve also received a lot of kind words for our humanitarian work in India as well. It is really humbling to have complete strangers tell you they believe in your brand or they cried when they saw the episode. It is a trip for 3 guys from Idaho.